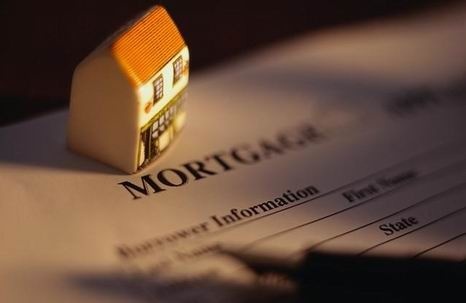 Did you know that the New York mortgage market has changed significantly in the past few years? Ulster County home buyers have more options than ever before and obtaining a mortgage s therefore more problematic than ever before. Choosing the right option for you can be incredibly difficult and can either work for you or work against you, depending on how much money it costs to have certain products. As a buyer, you should check out all the information you can before taking out any mortgage and should seek advice wherever possible. However, there are six major issues that could actually derail your chances of saving money on your mortgage. Paying particular attention to these issues could ensure that your property is paid for in a shorter time and with less money than you would otherwise have to pay. The first issue is actually getting approval for a mortgage. The vast majority of homeowners get it completely wrong though. They wait until they have found a property to get a mortgage when in fact they should seek and obtain pre-approval before they look for a home. Getting pre-approval and confirmation of it in writing is a must because it is relatively simple, does not tie you to the loan and yet leaves you open to finding the house of your dreams right away. It will not delay any application and saves panic buying at a later date. The second issue is actually related to pre-approval of a mortgage. You should find a mortgage that requires you to only pay what you are comfortable with every month and can afford. You should talk to your lender and find out what level of loan you are qualified to take and then discuss the rates of repayment. From there on in, you are fully aware of the homes that are within your budget and can look at them objectively rather than being stuck with a home that you cannot afford. Similarly, you should also consider the third point and that is your long term goals in relation to the type of mortgage you choose. How long do you plant to stay there and are you expecting your income to change at any point in time? These questions will help you to find a mortgage that bests suits you. The fourth issue is the prepayment privileges and options that may be available with a pre-approved mortgage. Paying monthly can sometimes add significant years and money to your mortgage so it is necessary to make sure that you take the privileges and payment frequency that suits your budget. It may be that weekly or biweekly payments are available to you. If they are then you may save a lot of cash in the long term. You should also ask about the fifth issue – whether or not you can take a portable or assumable mortgage. They can save you money and various charges by allowing you to take your mortgage with you when you move in the future. Finally, always seek guidance from a mortgage expert. You should never just take out a mortgage before getting professional advice because you have no way of finding out whether there are better options for you. Most mortgage brokers will offer a free enquiry service and will try to win your business from there. Check out your options as far as possible with a little professional help.